I'm a lifetime member of a photography forum, which is made up of some amazingly talented photographers. On this forum, they post "projects", in which you are supposed to take a photo which applies to your interpretation of the theme, and after the time is up, they post all of the entries for voting. The above photo was my first entry in one of their projects. The theme was "archi-personality". You were supposed to take a photo of part of a building which you thought represented the personality of the building. 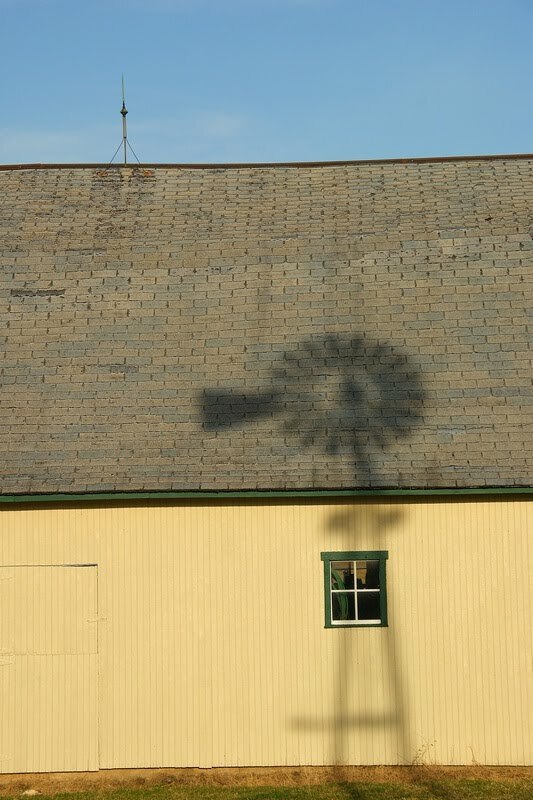 Well, when I saw the shadow of our windmill against our barn, I thought it screamed "farm personality" on the barn. So, I entered it. It really doesn't stand up against the other entries, but I don't think it was too bad of an idea for my first try. Before you continue your research on differin, why don't you join this great meme? Just click on the badge at the top of this post. You won't regret it! 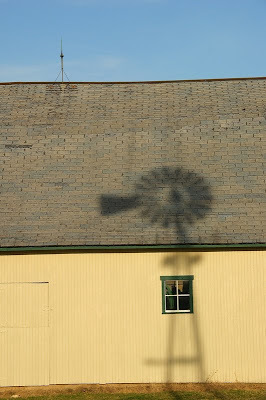 Nice clear shadow of the windmill on the barn roof. You could enter this in Shadow Shot Sunday as well! 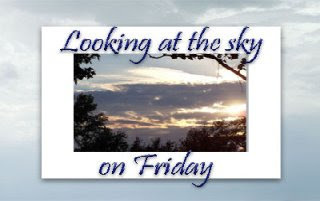 Happy Sky Looking this week. We see windmills out on an open plain, where they do their job away from persons and dwelling. Yet here, the mill and house seem to be one, not separate and divided by the land. A wonderful take! The shadow of the windmoll looks very good to me! I like the idea of projects. I just never seem to come up with anything for the ones I see. Inspiration, I need inspiration! I love the shadow of the windmill against the barn. It's got my vote. Great idea and a striking photo. I love that pic. I love the windmill.